Today we remember Dr. Martin Luther King, Jr. and all that he stood for. We remember him as a leader and a visionary, and as a man who guided our country onto a more righteous path. His most famous speech–I Have A Dream–delivered a resounding message of racial equality. 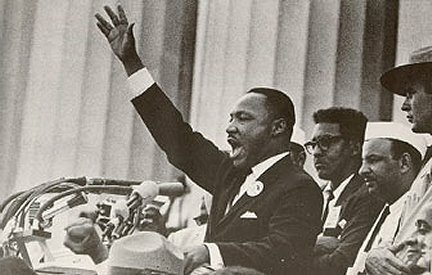 Today, the manacles of segregation are unclasped and the chains of discrimination are weakened, but King’s speech still resonates for its messages of freedom, justice, and the steadfast pursuit of happiness. In addition to the messages of the speech, the concept of its refrain–“I have a dream”–resonates in its own right: we each need to have our dream. We need a dream as a goal, a destination, or a picture of the future to motivate and give us meaning when our circumstance is tough or tiresome or even bleak. We need a dream as a compass and a guiding point, that we may better stay our course when the occasional fog of daily particulars diminishes our visibility. Finally, we need a dream as a statement of purpose, which puts our lives in context and gives us meaning. We each need a dream. What is yours?